Mr. Magoo is one smart bird. Apparently, this bird isn’t a Frank Sinatra fan. Right before Sinatra can get to the memorable chorus, Magoo blurts out “Alexa, stop.” Alexa obeys, and the music cuts out. Kinda rude, Magoo! Your owner probably really wanted to hear that song. “Magoo, I like that song! Alexa, play ‘New York, New York,'” his owner interrupted. Sounds like Mr. Magoo isn’t someone you want to listen to tunes with on a road trip…or he hates the classics. Alexa begins to play the song again. This is far from the first time that birds have interacted with the popular Amazon digital assistant. 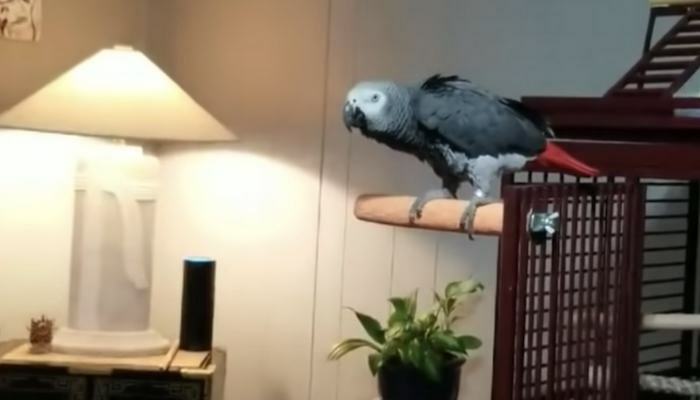 In the past, we’ve seen African greys fiddling about with voice assistants, even going so far as to ordering items and listening to music of their own. Given the fact that parrots are experts at mimicry, this is probably an issue that pet owners and those who use Alexa on a regular basis have to deal with pretty often. The assistant also has issues triggering at random times when you’re not even speaking to it, but this video was a hilarious capture by a pet owner that cracks us up again and again. Has your bird (or pet) ever triggered your digital assistant before? Let us know in the comments!